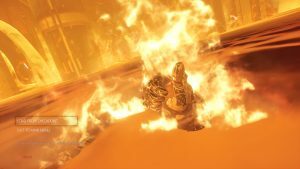 Downward Spiral: Horus Station Interview: A Slow Burn Thriller! Greogry Louden, Lead Designer of the game, answered our questions about 3rd Eye Studios’ exciting new game. Downward Spiral: Horus Station is a game that is all about conveying an engaging story to players purely through atmospheric storytelling. While we have seen games use the surroundings to tell a story, this is a rare game as it leaves the story entirely for players to discover on their own. The game also has multiple game modes and even a co-op component. To learn more about the game and its development, Gamingbolt reached out to 3rd Eye Studios and Lead Designer Gregory Louden to answer our questions. "We have a big story to tell but we tell our story with no dialogue or cinematics. We wanted our story to be played not shown and also discovered not told. We rely purely on sound and image." Downward Spiral: Horus Station seems to be another first person atmospheric horror title that’s meant for VR. What sets it apart from other competitors on the market? Downward Spiral: Horus Station is very different in a few big ways. It’s a thriller not horror and you can play it solo or in co-op. We also have a unique approach to zero gravity and we’re not just a VR game. We have an incredible VR port that can use motion controllers that’s super immersive but we’re also playable on PC and PS4 with gamepad or keyboard controls. Horus Station is a really unique and fresh game with a big message and we can’t wait for players to experience the game ahead. 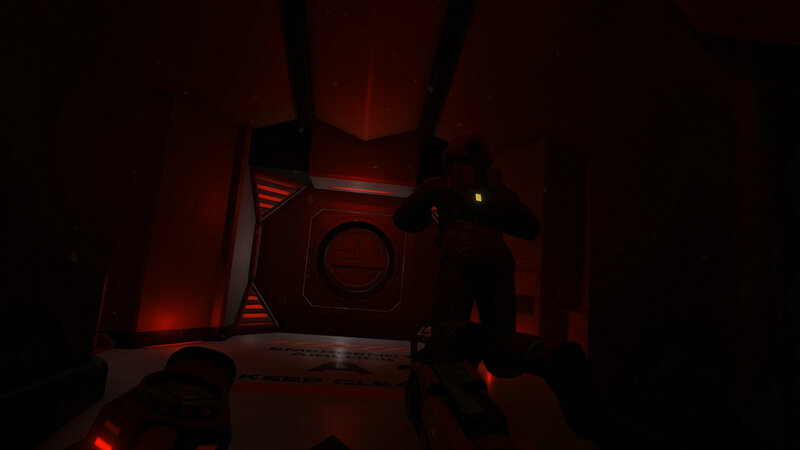 Regarding our locomotion for example rather than just float, as other games have done players will have to push themselves off of the environment to propel themselves forward, or use hardware like the hand thruster or grappling magnet to navigate just as you would in deep space. It really captures the inertia and feeling of floating around in zero-gravity unlike most locomotions I’ve played. The storytelling is completely visual focused and relies more on player observation. Could you give us a few hints about what’s actually going on in Horus Station? We have a big story to tell but we tell our story with no dialogue or cinematics. We wanted our story to be played not shown and also discovered not told. We rely purely on sound and image. I can say our story is highly interpretive and inspired by great hard science fiction. We won’t offer any hints on what it means because we want player to be left with lots of questions and thoughts. Will there be little bits of lore like recordings, journals, etc. that players can find that will add more context to the story? Could there also be a few secrets ready to be discovered? Horus Station has lots of secrets and will feature small amounts of lore from some ambient terminals and screens, all purely objective and system based information though. No diaries or emails or a word of voice over in the game. We want to the story to be discovered so it’s hidden but players will be able to find it. We wanted a more pure atmospheric storytelling experience and we can’t wait to hear what players think our story means. What can you tell us about the game’s puzzles? How easy or hard are they to figure out? We have a series of puzzles in Horus Station that are simple but thought provoking. Also in co-op we feature even more puzzles so if you play online there’ll be more moments, too. Because we’re in zero-gravity we have some cool physics puzzle as well as different other types of puzzles. I think players will really enjoy them. We also feature Explorer mode for players who don’t want combat but would still like to experience our environmental storytelling and puzzles. Not only does the game have a single-player campaign that’s full of atmospheric horror but there’s also support for co-op, PvE Horde mode and PvP support as well. What motivated you to include so much in one package? The team and I at 3rd Eye Studios are very experienced and we love co-op and multiplayer, too, so we had to include them in the experience. 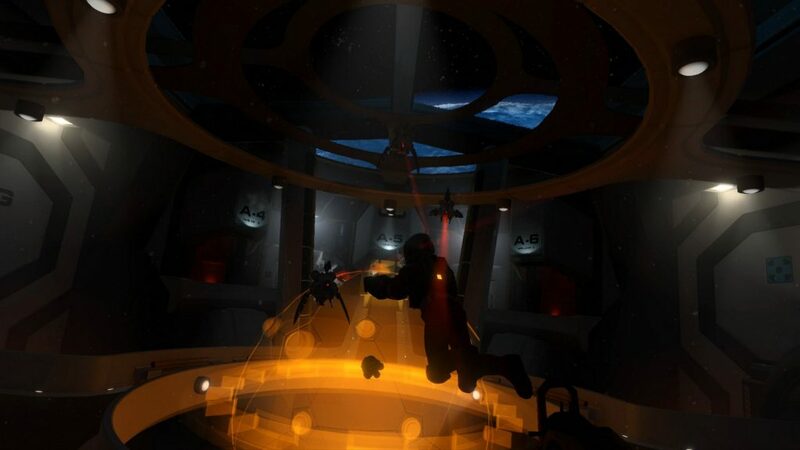 Fortunately we had previously made Downward Spiral: Prologue for VR which featured co-op and multiplayer. It was natural for us to want to bring those modes across to Horus Station. "We found in testing co-op that some players really race through and others want to explore and soak up the environmental storytelling. So to allow this for co-op exclusively we feature extra puzzles that promote collaboration and teamwork." How would the story and puzzles change with the addition of another player in the mix? Great question. We found in testing co-op that some players really race through and others want to explore and soak up the environmental storytelling. So to allow this for co-op exclusively we feature extra puzzles that promote collaboration and teamwork. We added these and it allows both players to interact more. We also have the ability to grab and throw items in the game so even simple physics puzzles with two players can be even more fun. The campaign seems more measured and slow-paced with its gameplay. How did you translate that to competitive PvP? What challenges have you faced in terms of matchmaking, net code and other multiplayer issues? Our campaign is a slow burn thriller. We have some big thrills and lots of threats to engage with if the players chooses Engage mode. Not all of the game is slow-paced, however. We also have quite a few more emergent systems as a result of the zero-g paradigm, like grappling magnet and inertia. It has a different feel for our multiplayer. Programming multiplayer is always challenging and setting up global servers and making sure everyone connects to the best server is a big challenge. We’re working hard and it’s a big challenge but, as mentioned, we feel it’s a great option to include and we’re looking forward to playing online with others. The option of an Explorer mode is especially appreciated since it lets players focus on the puzzles and story. What are your thoughts on giving people more options while perhaps motivating them towards the true experience? Explorer mode for me personally is a big thing and something I wanted to add to make Horus Station more accessible. It leaves a much slower and more exploratory thriller and, like Engage mode, it’s playable in co-op. I see both modes as being true experiences, the only difference being a slight story change. What can PvE-focused players expect with Horde mode? Will it be wave-based shooting or will there be additional challenges to face? Our PVE Horde mode will be wave-based with a score table at the end using specific locations from Horus Station. Players will engage with others against most of the threats from Horus Station and each threat will have a score. It’s co-operative but also competitive which is always good in a horde mode. When can we expect Downward Spiral: Horus Station to launch? Are there any plans for post-launch content? 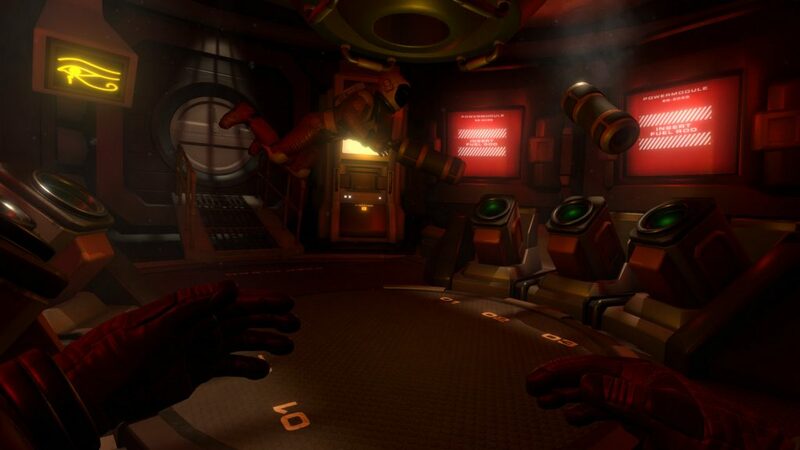 Downward Spiral: Horus Station will be out this Spring or PC, PS4 and VR Platforms all in one title, so players will get both for the price of one. For any people interested to know more first follow 3rd Eye Studios on social media. Post launch wise we can’t wait to see players reactions and, if they want more Downward Spiral, we’d love to deliver more ahead. "As well as being a standard game we also support VR for all players for the same price. The biggest difference for us is the differing VR platforms we’re supporting when the games out this Spring." At this point we have not announced any specifics for the PS4 Pro version but we will be support the platform. 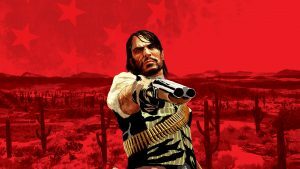 Players with the hardware will get a higher quality experience than the normal PS4 edition as a result of the hardware. As well as being a standard game we also support VR for all players for the same price. The biggest difference for us is the differing VR platforms we’re supporting when the games out this Spring. We’re supporting Occulus Rift, HTC Vive and Windows Mixed Reality along with PS VR. So each VR platform has it’s own controllers and settings. However we’re using 3rd Eye Core our own toolset which has made it a lot easier to support so many platforms at launch as we’re a small and very experienced team. Is there a specific reason why you are launching your game on the Xbox One? Any chance of a Nintendo Switch version? We’re huge fans of Xbox One and Nintendo Switch. At this point we have not announced any further platform support. We’re a small team so it was natural for us to limit the launch platforms. Plus the inclusion of PSVR made selecting Playstation easy as we also support VR too. We do not feature any micro transactions or loot boxes. We offer a great solo / co-op story, multiplayer and optional VR support all for the same price.